December 04, 2018 | Very pleased! This rug is as beautiful as anticipated since it is not my first Milliken from Rugs Direct. It is a gorgeous accompaniment to our dining room and an elegant display of animal print designs. Imitation is the sincerest form of flattery, right! 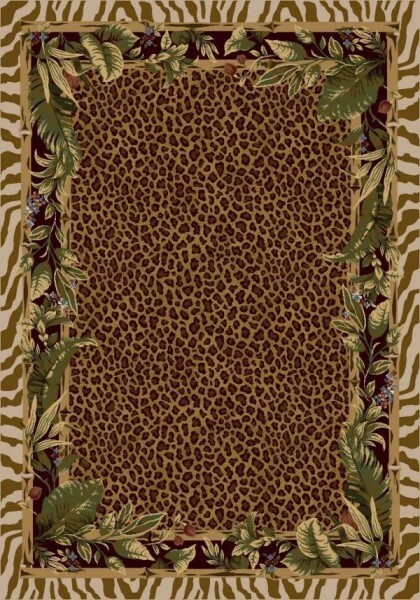 I would never use an actual animal rug! I have had great experiences with Rugs Direct and I love shopping here as it is possible to get the unusual sizes and shapes and patterns you simply cannot find in stores. This is the third rug we have bought from Rugs Direct and I am very pleased with the purchase. It was not as expensive as the other two but really has made a very nice statement in our hallway. Very good purchase and very good service from Rugs Direct. On time delivery and came in perfect condition. Just like the other two came. Perfect!! Rug is exactly as shown. Colors are spot on. Thank you Rugs Direct. March 11, 2017 | I love the rugs!